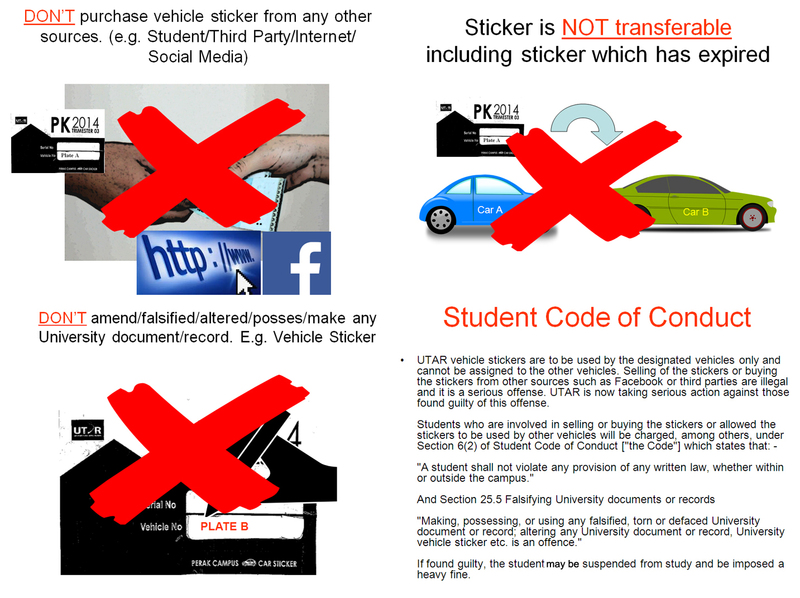 UTAR vehicle stickers are to be used by the designated vehicles only and cannot be assigned to the other vehicles. Selling of the stickers or buying the stickers from other sources such as Facebook or third parties are illegal and it is a serious offence. UTAR is now taking serious action against those found guilty of this offence. "A student shall not violate any provision of any written law, whether within or outside the campus." "Making, possessing, or using any falsified, torn or defaced University document or record; altering any University document or record, University vehicle sticker etc. is an offence." If found guilty, the student may be suspended from study and be imposed a heavy fine. Vehicles with OCTOBER 2018 VEHICLE STICKERS are allowed to enter the campus from 14 January 2019 until 20 January 2019. From 21 JANUARY 2019 ONWARDS, vehicles with JANUARY 2019 VEHICLE STICKERS ONLY are allowed to enter the campus. Price: RM106.00 for car sticker (Kampar Campus Only) / RM10.60 for motorbike sticker. Details to obtain such stickers are as follows. You may register online any time BETWEEN 12.01A.M., 7 JANUARY 2019 (MONDAY) to 11.59 P.M., 10 JANUARY 2019 (THURSDAY). 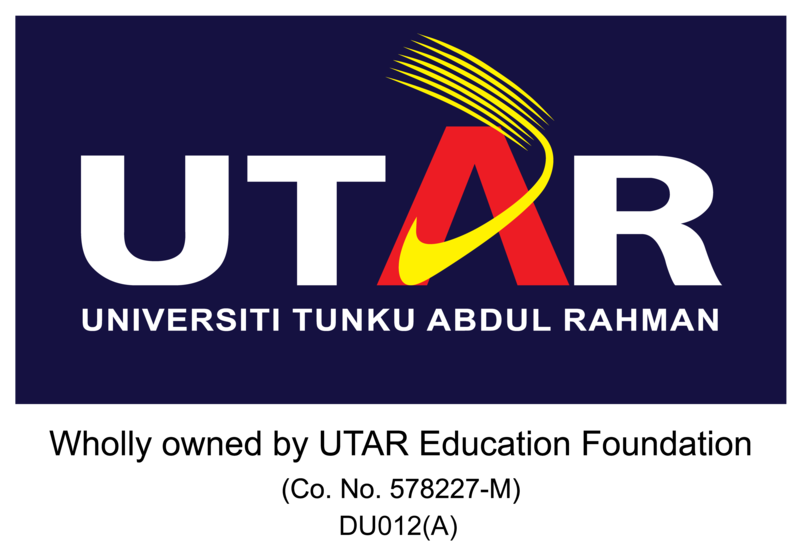 Click on to”UTAR Portal" tab on UTAR homepage and login to student Intranet using your user ID and password. Click on "Registration for car or motorbike park balloting" tab on the Home screen from student Intranet. Ballot number will be assigned to you once you click "Register". Note: If you wish to change any details you have entered, you may do so during the period of registration as stated. No changes are allowed after that. 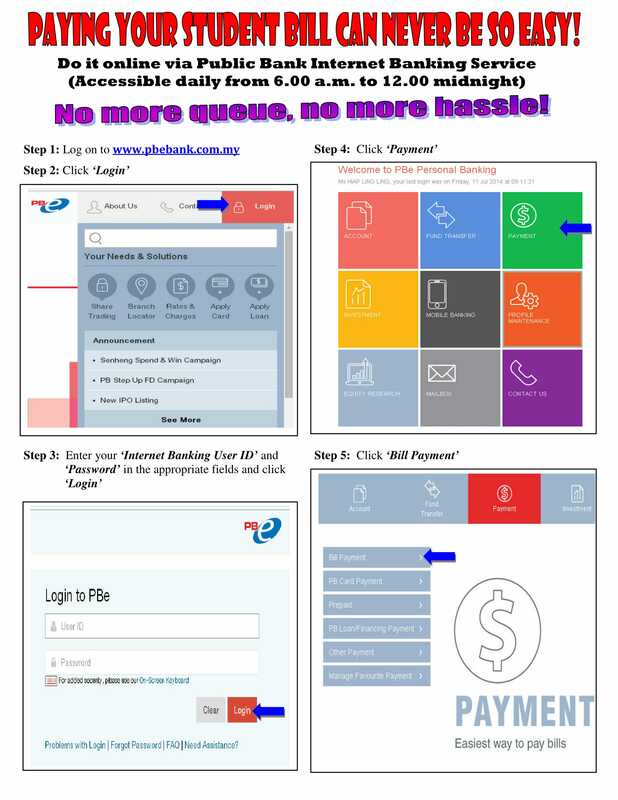 ** Each student can only register once and any car / motorbike number can only be entered once. Upon registration, you will be issued a ballot number. Sticker will not be issued due to wrong selection of vehicle type although the balloting is successful. Balloting will take place on FRIDAY, 11 JANUARY 2019 by the Management and the list of successful applicants will be posted on notice boards and announced via the student Intranet by 10.00 A.M. ON THE SAME DAY. Note: If you are successful in your ballot, your vehicle sticker will be issued to the car / motorbike number as specified in your application - NO CHANGE OF CAR / MOTORBIKE REGISTRATION NUMBER WILL BE ENTERTAINED AFTER THE REGISTRATION PERIOD AND PAYMENT FOR STICKER IS NON - REFUNDABLE. Only vehicles with valid UTAR stickers can enter the University car park. Selling of the stickers and/or buying the stickers from other sources such as Facebook or third parties are illegal and it is a serious offence. UTAR is now taking serious action against those found guilty of this offence. The owner of the vehicle sticker who consents and allows his/her vehicle sticker to be utilized for a purpose contrary from which it is issued shall be penalized by having to forfeit his/her eligibility to use his/her vehicle sticker for the rest of the validity period, unless he/she, prior to the occurrence of the incident, had reported to DSA the loss of his/her vehicle sticker. The vehicle sticker is the sole responsibility of the applicant/owner of the vehicle sticker. Balloting will be witnessed by the Student Representative Council. RESULTS OF THE BALLOTING ARE FINAL. 2) Student has to prepare relevant documents* and complete 1 copy of Application for Vehicle Sticker form [Downloadable at http://bit.ly/1HOooHx (Kampar Campus) / http://bit.do/dWf29 (Sungai Long Campus) as the form is no longer provided by the Department of Student Affairs (DSA) and the form is only valid for January 2019 trimester] before submission to DSA for approval on the next working day after making payment at Public Bank branches or through Public Bank Internet Banking. *THE BELOW FORM IS VALID FOR JANUARY 2019 TRIMESTER ONLY. Only successful applicants in e-ballot are required to download the 'Application for Vehicle Sticker Form' (ABOVE) AND PRINT OUT by your own in A4 WHITE paper. Other colors paper ARE NOT Acceptable. The form is only valid for January 2019 trimester before submission to DSA for approval on the next working day after making payment at Public Bank branches or through Public Bank Internet Banking. For example, student who makes payment on 12 January 2019 (Saturday) has to submit vehicle sticker application to DSA earliest on 14 January 2019 (Monday). 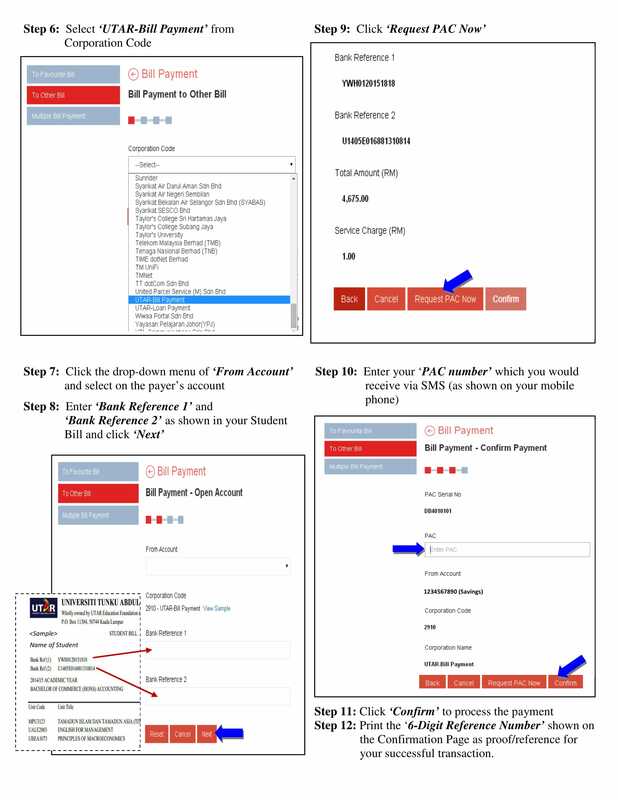 Another example, student can only submit vehicle sticker application to DSA earliest on 17 January 2019 (Thursday) if he/she pays on 16 January 2019 (Wednesday). 1) DSA will issue a vehicle sticker to the student concerned. The obtaining of vehicle sticker is from 14 January 2019 to 18 January 2019. After the expiry date, successful applications are assumed to have rejected the issuance of vehicle stickers. Inspection of vehicle will commence on 21 January 2019 onwards.